The on-going reconfiguration of geo-political and economic forces across the globe has created a new institutional and moral environment for East Asian family life and gender dynamics. Indeed, modernisation in East Asia has brought about increases in women’s education levels and participation in the labour force, a delay in marriage age, lower birth rates, and smaller family size. And yet, despite the process of modernization, traditional systems such as Confucianism and patriarchal rules, continue to shape gender politics and family relationships in East Asia. 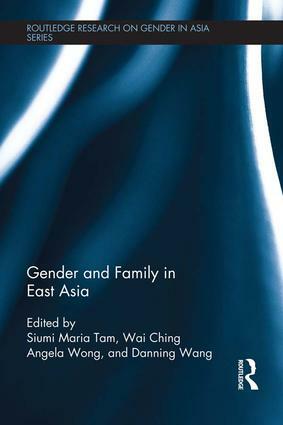 This book examines gender politics and family culture in East Asia in light of both the overwhelming changes that modernization and globalization have brought to the region, and the structural restrictions that women in East Asian societies continue to face in their daily lives. Across three sections, the contributors to this volume focus on marriage and motherhood, religion and family, and migration. In doing so, they reveal how actions and decisions implemented by the state trigger changes in gender and family at the local level, the impact of increasing internal and transnational migration on East Asian culture, and how religion interweaves with the state in shaping gender dynamics and daily life within the family. With case studies from across the region, including South Korea, Japan, mainland China, Taiwan, and Hong Kong, this book will be of great interest to students and scholars of Asian studies, gender studies, anthropology, sociology and social policy.